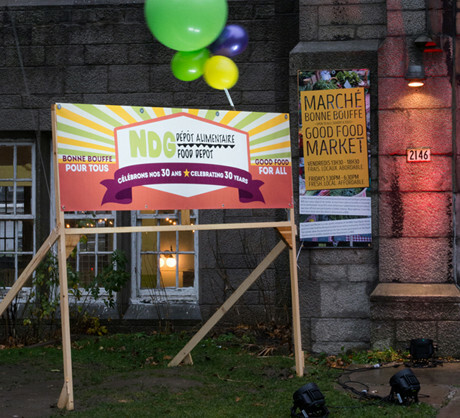 Volunteers carried crates of bread and potatoes, helping to arrange food baskets for the hundreds of visitors expected to come to the NDG Food Depot’s 30th Anniversary celebration yesterday, Nov. 29. 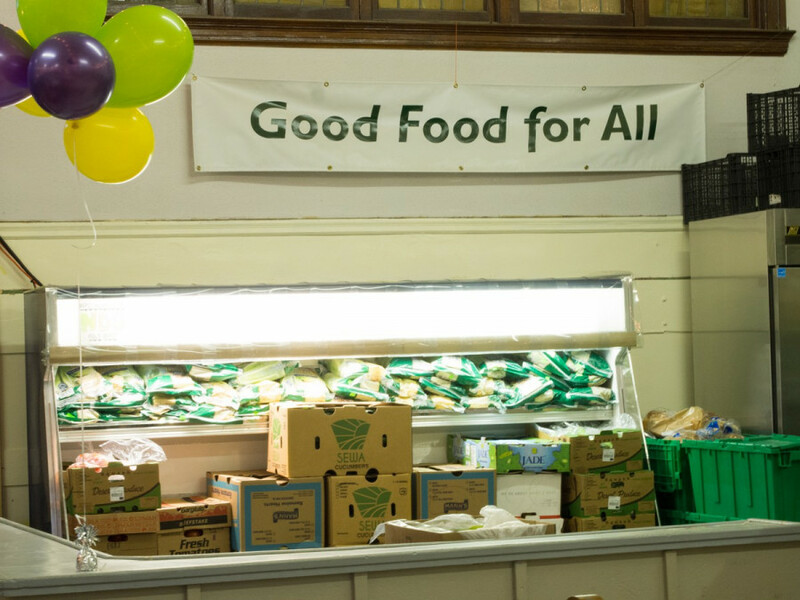 Recently relocated to Ave. de Marlowe, on a street behind Station Vendome, the Depot has served as a “pillar for the community” for the last 30 years, said Daniel Rotman, the food bank’s executive director. He expected Tuesday’s open-house event to draw between 400 and 600 visitors over the course of the day. For more than a year, Damont Antoine has volunteered at the Depot’s sign-in table. He chats with visitors who pass through the food line to receive emergency food baskets, handing out extra snacks and doing all the little things to make their visit a happy one. And while his work has benefited many who have come to the food bank, volunteering has also helped Antoine to help himself. Antoine lives in a supervised apartment in the neighbourhood, where he raises his son and manages his own clothing label. 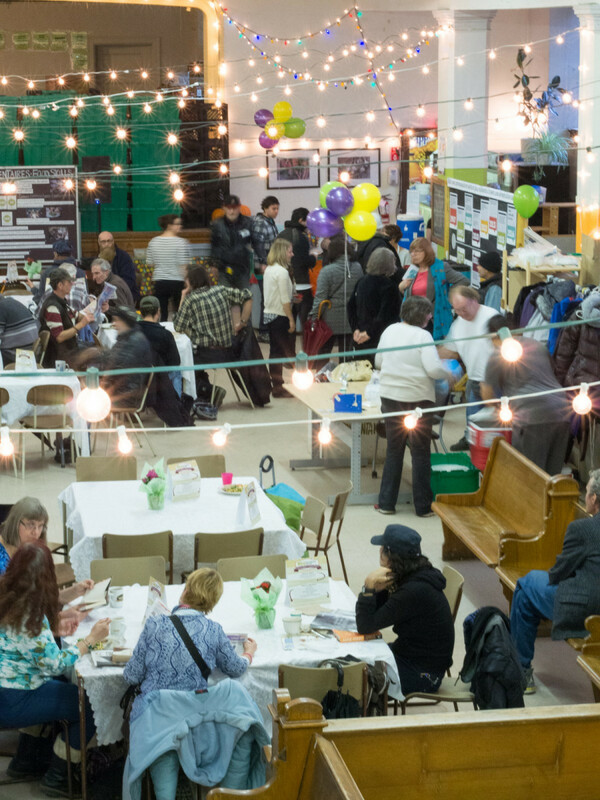 Over the last year alone, more than 800 volunteers and 4,000 donors fueled the Depot, said Rotman, and he hoped the 30th anniversary event would raise $30,000 towards funding it. Kim Fox, program director at the Depot, viewed the event as a celebration. “For us, it’s a celebration for our future, and looking back at where we’ve come from,” she said. Over the past two years, she has worked directly with program managers to develop the Depot’s classes—focusing on food access, food skills, urban agriculture and access to resources. Fox said the event further recognized the changes the food bank has undergone over the last five years. “We’ve changed as an organisation quite a bit—we signify [today’s event] as: ‘We’ve been here this long and now we’re taking this new direction and this new approach,’” she said. Over those past five years, Rotman has been involved at the Depot—leading as director for two—over which time, he has seen the food bank grow. But more than that has changed, added Rotman. “The vibe and the feeling that you get in the place itself has changed—it’s a welcoming, safe space,” he said. As he spoke four visitors walked in, meandering near the entrance.